Symposium Technologies is pleased to announce yet another new customer – North Providence Fire Department in Rhode Island, a historic town of just over 30,000 located in the Providence Metropolitan area. North Providence FD handles an impressive 7,000-plus calls for service per year while maintaining a top tier ISO ranking, one of only 63 departments nation-wide with this distinction. Working from three stations, NPFD delivers the utmost in professional service to their community, while upholding their reputation as a progressive, forward-thinking department. And, with such an emphasis on best practices, the advantages Symposium brings to the table are a natural fit. One key aspect of Symposium’s approach is that our systems are scalable for the needs of departments of all sizes, a decisive factor for many communities that need first-class technology traditionally available only to larger cities. North Providence’s new CAD will be fully integrated with Phase II E911, as well as its new FIREHOUSE RMS. This two-way integration will provide department dispatchers with full access to critical preplanning info, contacts, active burn permits and a host of other info. As a result, responding personnel will have access to all the information they need to affect the fastest, safest, and most effective response. 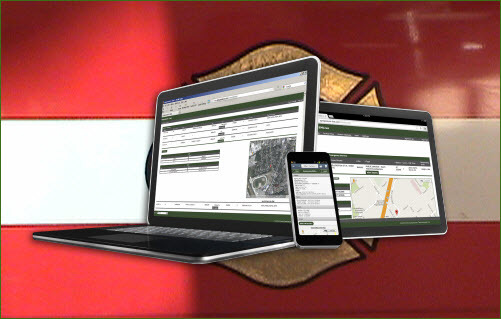 Utilizing the EM Live web-based incident management system, NPFD personnel will going forward have access live map-based dispatch information and RMS-based pre-fire plans directly from their mobile devices, securely in real time. Going forward, North Providence has a wealth of options to expand and make the most of new technologies, thanks to Symposium’s extensive third-party integrations with other industry-leading vendors. And with everything from alarm monitoring to digital video to enhanced location-based services already integrated into our NG-911 ready systems, the department can look forward to remaining on the cutting edge of emergency response technology. For our part, we’re looking forward to making sure the firefighters and EMT’s at NPFD have the information they need to deliver the best possible protection to the people of their community, and in supporting their transition to computer aided dispatch. To find out more about NPFD’s new system or about how hundreds of similar departments are responding faster, safer and more effectively with Symposium, please contact us at info@symposiumtechnologies.com.